We are a regional community of presbyteries and congregations learning to respond to God’s call to become agents of divine justice, transforming the Presbyterian Church (U.S.A.) in the Northeast into a community of hospitality and welcome for all. We recognize that we have not always lived into the gift of our great diversity. We have not always fully welcomed all those within the communities we serve, including people of different racial or ethnic identities, economic classes, genders, abilities, sexualities, immigration statuses, or those who are marginalized in other ways. Finding deep joy in our differences, we commit to equipping the saints for a courageous and steadfast witness of love and hope; learning, growing, worshiping, and working together. Each year, a cohort of up to three individuals is selected from a pool of applicants by the Synod's Committee on Representation, with an emphasis on a diversity of backgrounds and experience. As a cohort, the Scholars then participate in a yearlong Certificate of Executive Leadership program at McCormick Theological Seminary. This scholarship covers all expenses needed to participate fully in the program and is funded by the Robert Washington Legacy Fund. During the program, Scholars attend four sessions on the campus of McCormick Theological Seminary in Chicago, with readings and assignments between in-person meetings. Courses all focus on essential elements of leadership. The Scholars also gather periodically with the Synod Mission Team as well as Scholars from previous years for reflection, conversation, and mutual learning. Our current Scholars include: Rev. Terri Ofori, Chaplain at Bloomfield College; Rev Hyon Kim, Executive Presbyter of Eastern Korean Presbytery; and Rev. Mario Bolivar, Associate Pastor at the First Presbyterian Church in Skaneateles New York. All three will complete their course of study in May of 2018. The application season for the 2018-2019 cohort will begin on January 1, 2018 and conclude with the February 28, 2018 deadline. We are looking for another great pool of applicants, so please consider applying or share this opportunity with a ministry leader you know. To learn more about the Robert Washington Scholars Program and to apply, visit our website. We are grateful for the work and ministry of our Robert Washington Scholars and look forward to the ways they will continue to bless the Church! "The Robert Washington Program has exceeded my expectations. 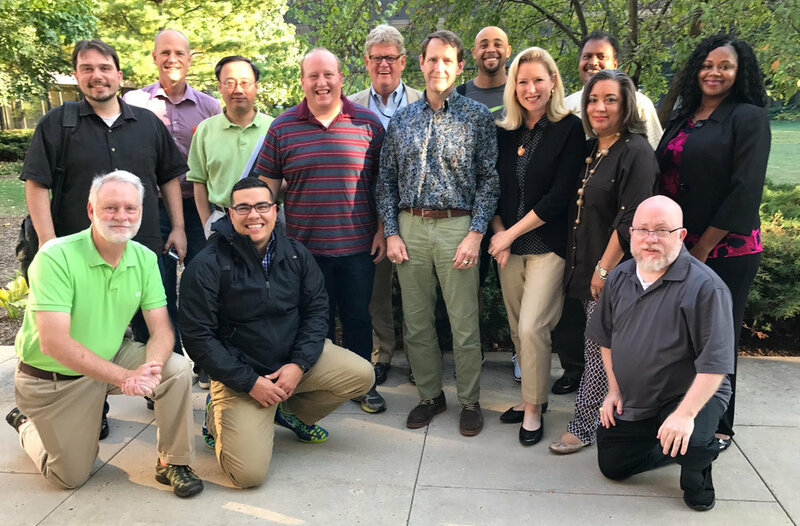 The Synod leadership has provided tremendous support via personal mentoring and leadership retreats that examine leadership through a holistic and spiritual lens. The program is concerned with developing us as whole people who do not just lead but who are well (emotionally and spiritually) and live out the meaning of Shalom. The most compelling aspect of the educational component of the RWS program is participation in the Executive Leadership Program at McCormick Seminary. In the past I encountered leadership methods that were based on white male militaristic models that were top-down in style. I was surprised to discover that the leadership models we examine in our cohort are based in feminist and womanist theories that take into account gender and race, as well as celebrate non-Western styles of leadership." "A unique opportunity to be shaped into a forward-looking Christian leader." "More than an opportunity, the Robert L. Washington Scholarship has been a gift from God for the sharpening of my leadership skills for the Glory of the Son. It has helped me understand my direct and indirect influence in the ministry of the local and broader church and our evolving world through collaboration, conflict resolution, and negotiation. I will be forever thankful to the Synod of the Northeast for the coordination and support, and the Robert L. Washington Scholars Program for this blessing. For the Kingdom with the Power and for the Glory of our God." The Rev. Harold Delhagen is the Synod Leader of the Synod of the Northeast.